A mum from Bemboka, west of Bega, caring for her son in Canberra Hospital has highlighted the importance of carers accommodation in the capital’s public health precinct as ACT Health advances planning to redevelop the site. Cheryl Lloyd and her husband have been at their son’s side since 3 November last year when he was flown to the Canberra Intensive Care Unit. Their son’s condition was deemed too grave to be treated in hospitals closer to home. “We’ve been home for a couple of odd days, but 99 per cent of the time we have been up there and living in the residence,” Cheryl says. Speaking with the determined weariness of a mum, Cheryl says her 36-year-old son who lives in Bombala with his wife and four daughters, is lucky to be alive. “They didn’t know was wrong with him for the first few days and then they finally diagnosed him with Influenza- A,” she says. Cheryl’s son was in an induced coma for much of this time; the weight of some big decisions resting with his family. The simple ‘shoebox’-style bedrooms Cheryl and her husband have been retreating to at the end of their long days have been a home away from home. The rooms feature two single beds and a wardrobe, with communal bathrooms, kitchen, and lounge facilities. While not free, the cost is greatly reduced with prices around $50 a night, some of which is claimable through the NSW Health system. Cheryl has lost track of the number of nights she has slept there but estimates they have spent around $2000 so far. Cheryl struggles to find the words to fully express her gratitude for the care her son has received and her appreciation for the onsite carers accommodation, but she was concerned to hear from others during her stay that the building she has come to call home will be demolished soon. “Today I spoke to someone that works at the residence and she said that they have 140 people staying tonight. I just wonder where all these people will be staying next year,” she says. On some nights Cheryl says rooms are unavailable because of the high demand, in the last five months she says she has met people from Merimbula, Goulburn, and Batemans Bay. “We all get together of a night time in the loungeroom, it’s good to be able to share our stories and help each other,” she says. The new SPIRE Centre at Canberra Hospital. Photo: ACT Health Directorate. Speaking to Region Media, a spokesperson for the ACT Health Directorate says planning for the construction of the new Surgical Procedures, Interventional Radiology and Emergency (SPIRE) Centre on the Canberra Hospital campus is advancing. “The new centre will increase the hospital’s capacity to deliver acute and emergency health care to residents of Canberra and the surrounding region,” the spokesperson explains. 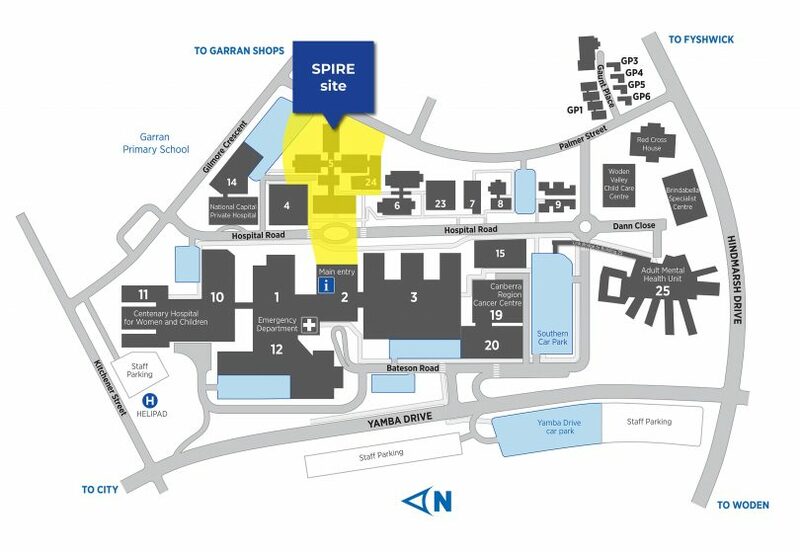 “The site for the new SPIRE Centre encompasses land currently occupied by buildings 5 and 24 – Building 5 includes residential accommodation services. “The Building 5 Residences will continue to be accessible until the end of 2019 for interstate visitors and carers of patients who live more than 100km from Canberra Hospital. 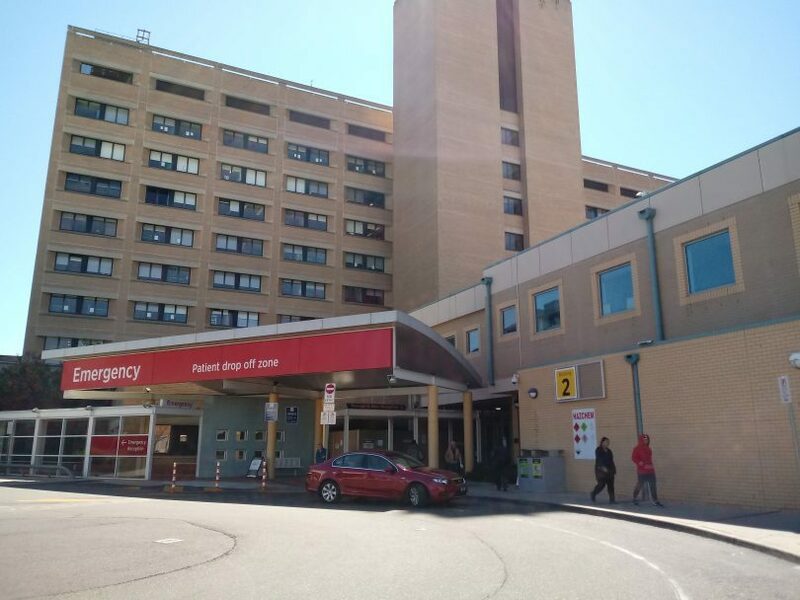 “Work is currently underway by the ACT Health Directorate and Canberra Health Services (CHS) to develop alternative arrangements to meet the accommodation needs of the families of interstate patients from 2020. “Any new arrangements for CHS’ accommodation policies for patients and carers travelling long distances to receive treatment, will be in line with those of other large public hospitals around the country. “The ACT Government understands the pressures on families who travel to Canberra for care, and we are committed to ensuring there will be accommodation support into the future for those who need it. “There will be engagement with people who require the service or any new arrangements and this will take place closer to the end of the year,” a spokesperson for the ACT Health Directorate says. Cheryl welcomes the news of an upgraded carers residence and says she is keen to follow the process and make sure country people are looked after. In the meantime, Cheryl thinks her son has another three to four months in hospital but with rehab to follow, the future is unknown. Her daughter-in-law and granddaughters aged two to ten years are doing the best they can at home supported by the Bombala community. It’s anticipated that the SPIRE project will be completed in 2023-24. I have several times made use of this facility when my wife has had day surgery that went over time and when she needed to be there at 6-00 A.M. as driving to Canberra in the dawn time is dangerous with wombats & kangaroos & as we are aged & have found this facility very good & with having a key you can have secure parking and enter the main hospital at all times if necessary. It would be a terrible decision that would close this facility for those of us who live in the catchment area for T.C.H. Written by David Cargill Keder Street Braidwood 2622 N.S.W. I lived there for 7mnths . It was great, tobe 400 steps from loved one was so comforting . Most appreciated. Cost to me for that time , nothing. I was so grateful to have this service recommended to me. I don't know how we would have managed otherwise. Affordable, accessible, clean and comfortable. The staff on the desk were very helpful and compassionate. My 84 year old mother found it invaluable last year. She had just moved to the Bega Valley when my brother was taken to hospital. The accommodation being onsite meant that she didn’t have to negotiate transport to a hotel. The bus to Merimbula also conveniently left at the front door which meant she did not have to drag her bag too far. It is essential to have thie facility and have it close to main hospital. Early morning procedures are less stressful when staying onsite and families with loved ones in ICU need to be close at hand. The replacement facility must be equally accessible and affordable. I know someone who used it last night. He had to be in the hospital at 6 am for day surgery. He is increasingly infirm, and I don't know how he would have managed if the accommodation wasn't there - or if it was further away from the main building. Didn’t know there was one. My husband has had to motel it. When I had to have 6 weeks of radiaction treatment, I stayed at the old nurses' quarters in the Canberra Hospital, 4 nights a week. It was a life saver. And beautifully managed by beautiful, caring people. Once again, thank you. Coming from the coast with a family member in care this facility is invaluable for loved ones who have no one else to stay at short notice. My mum and partner both stayed in the residence when I was having my son as we live down south. Lucky they did because we needed to stay almost a week in the NICU. We would've been lost without those facilities. Building 5 was my mother’s and our second home for years !! !.., and prior to that at the old Canberra hospital, Sylvia Curley House provided us all with a home away from home . Lyn , Wendy and the building 5 staff became “family “ to us . It is SO IMPORTANT to have this type of accommodation attached to Canberra hospital !.. thousands of people and families would have been lost without it over the years . Yes. I lived there for 3 months around 10 years ago. I stayed when my mum was ill when I didn’t live in Canberra. Was grateful to have reasonably priced accommodation close to the hospital. There’s not much else available. I’ve stayed in the residence of 2 Canberra hospitals and both were vey much needed and appreciated.